Kim Kardashian and Kanye West may be ecstatic about landing the cover of prestigious fashion magazine Vogue but there’s one person who just ain’t impressed. Naomi Campbell! The supermodel has been on the cover of Vogue multiple times. While chatting with Australia’s Morning Show, supermodel Naomi Campbell didn’t hide her disappointment with the KimYe display. This entry was posted in Entertainment and tagged Kanye West, Kim K, Kim Kardashian, Naomi Campbell, Vogue Magazine. The April edition of Vogue Magazine has already leaked on the internet. On the cover is powerhouse couple Kimye ( Kim K and Kanye West) by Annie Leibovitz. “Thank you (at)voguemagazine” on his Twitter account. However, in the magazine, which hits stands March 31, Vogue editor in chief Anna Wintour told readers it was the magazine’s idea to feature Kardashian, and the decision was based on the reality starlet’s dominance – and was not influenced by her famous boyfriend. The cover has sparked a lot of brouhaha since it was revealed that Kim was going to be on the cover. This entry was posted in Entertainment and tagged April, Kanye West, Kim Kardashian, Vogue Magazine. This is so cute, reality star Kim could not resist to urge to plant kisses on baby North while they went air bound again. A-d-o-r-a-b-l-e!!! 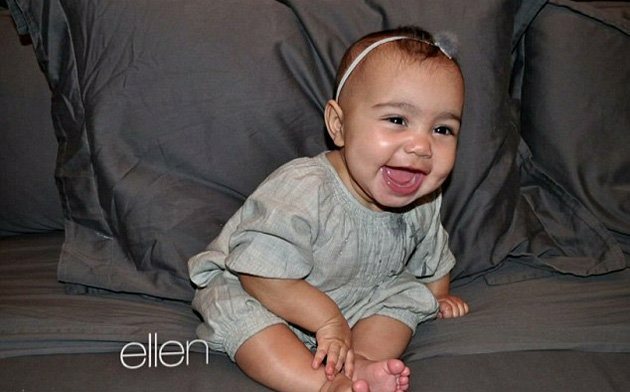 This entry was posted in Entertainment and tagged Kanye West, Kim K, kiss, North West, plants. This is hilarious yet spooky too. 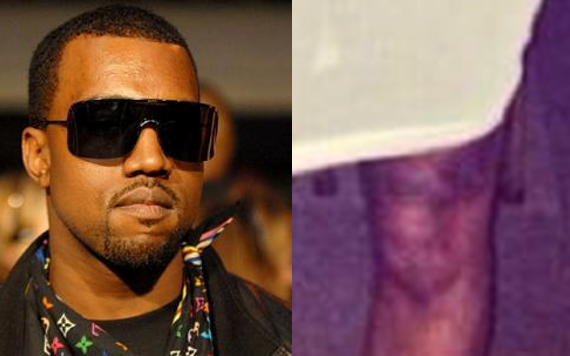 According to some publication , Kanye West’s face appeared on the woman pictured above’s knees. 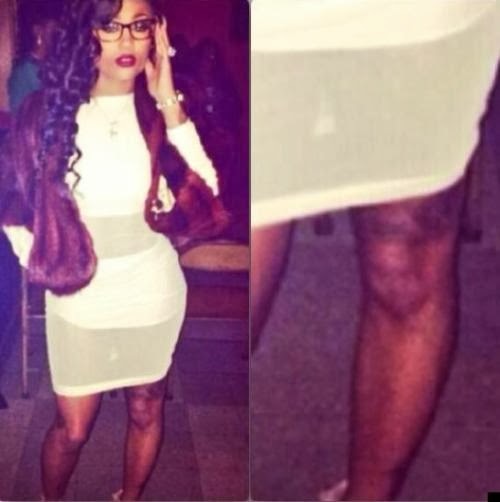 Take a closer look at her knee.It is not ashy but that right there is Yeezy’s face.The pic, which was first posted on Reddit on Jan. 30th has gone viral with over 2million views so far.Hmm, we just hope that people are not taking Kanye being the messiah seriously at all. Geez, the man isn’t convinced himself. 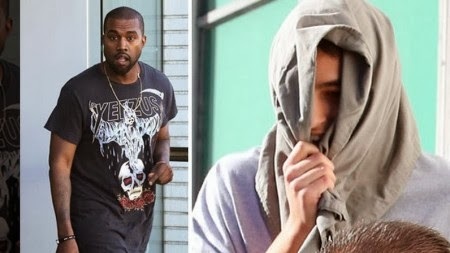 This entry was posted in Entertainment and tagged face, Kanye West, knees, woman. This entry was posted in Entertainment and tagged 000 dollars, 250, Kanye West, man, settles. Looks Kimye are heading for that altar very soon! The Hollywood power couple are at the moment getting some business done separately( as photos suggests) but are rapidly getting things ready for the big day.As you can see Miss Kimmy looks very chic in an all black everything outfit with a thick coat, some black pants, matching boots, and some shades to hide from the paps. 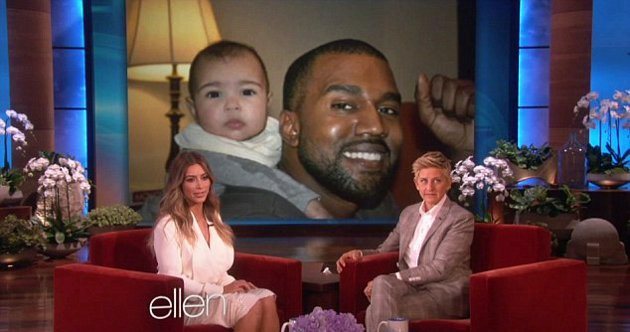 Kimmy must have been missing her fiance who she was most likely going to meet with, since she was gushing over him during her recent interview with Ellen DeGeneres. During the sit-down chat, Ellen got Kim to reveal some major wedding details, such as the fact that it will be during the summer. Apparently, there’s no set date, but it’s a definite go for the summer…and even overseas! ‘We honestly haven’t picked a date yet,’ she said. ‘We said that when we were on our trip skiing this New Year’s that we were going to pick the date and the location, and that still hasn’t happened. This entry was posted in Entertainment and tagged Kanye West, Kim K, Kim Kardashian, reveals, wedding details. 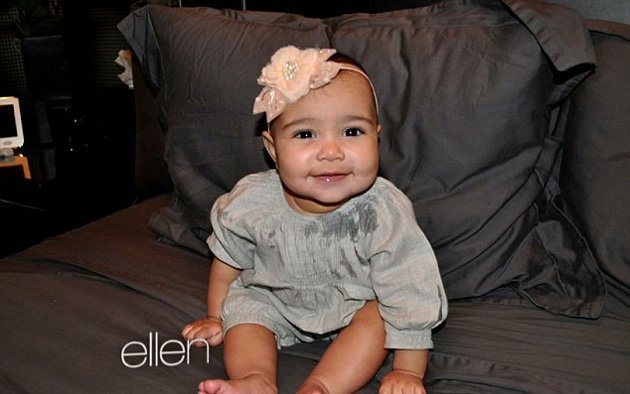 This entry was posted in Entertainment and tagged Ellen Degeneres, Kanye West, Kim Kardashian, North West, Show.